The first manned missions to outer space by both the United States and former USSR in 1961 were short trips that last no longer than two hours. However, the former USSR went on to complete a few missions that lasted more than 24 hours before the US completed its first 24-hour space flight in 1963. The increasing durations of the space flights by both the American astronauts and Soviet cosmonauts make one thing very clear: at some point, the crew must eat. The first food delivery systems were, of all things, tubes. They had the look and feel of a tube of toothpaste, but what came out of these tubes was anything but minty. The former USSR’s Yuri Gagarin, who in 1961 became both the first human to travel into space and the first to orbit the earth, dined on three 160 g toothpaste-type tubes: two servings of puréed meat and one chocolate sauce. The combined crew of the Apollo-Soyuz Test Project (1975) ate tubes of borscht and caviar, along with canned beef tongue and packaged Riga bread. 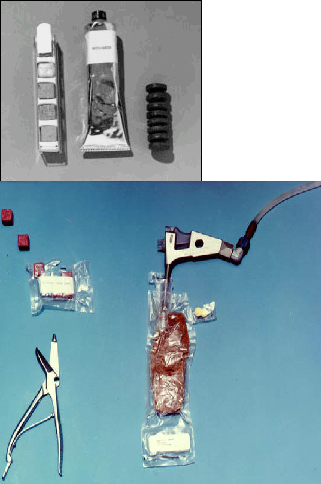 Top: Project Mercury – Food cubes and tubes. Bottom: Project Gemini – Cubes and “rehydrater”. While NASA effectively borrowed the food tube idea from the Russians, they also experimented with their own delivery system: bite-sized cubes with gelatin coatings to prevent crumbs. During Project Mercury (1959-63) and Project Gemini (1965-66), foods were dehydrated before missions and rehydrated once in space, allowing the menu to expand over time to include the astronauts’ preferences. Items such as shrimp cocktail, chicken and vegetables, toast squares, butterscotch pudding, and apple juice were available on the menu. Even though rehydration methods improved during the Apollo program (1961-75), food presentation and presentation were still the same as during the previous space programs. 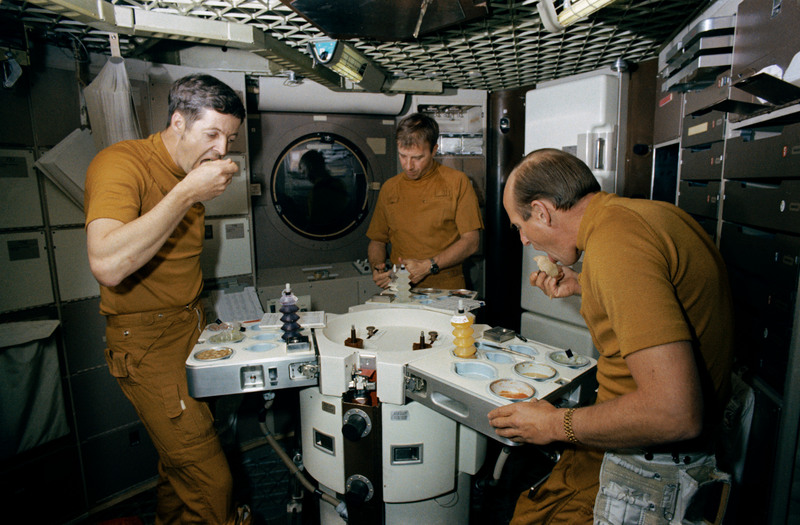 By the time the United States’ space station, Skylab, was operational in the mid 1970s, astronauts indulged in “normal” meals. The astronauts would literally come to the table during mealtimes. A dining room table and chairs, fastened to the floor and fitted with foot and thigh restraints, allowed for a more normal eating experience. The trays used could warm the food, and had magnets to hold eating utensils and scissors to open food containers. Unfortunately, a new problem came to light. The astronauts trained on the ground with the very food they brought with them to Skylab, so they fully expected the food to taste the same. However, they soon realized that the microgravity environment dulled their senses of taste and smell due to a head congestion from weightlessness. Food trays from (top to bottom) Skylab and Space Shuttle. The food tray developed for Skylab was apparently well-designed and deemed sufficient for the Space Shuttle program (1981-2011). 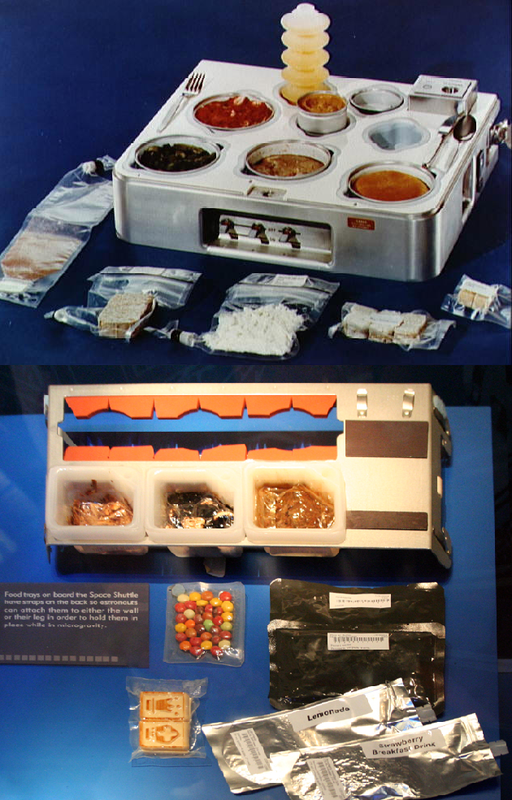 As you can see, the food trays between both space programs differ in design slightly, but the functionality, as well as mobility, of both trays allowed astronauts to take their food with them wherever they worked. In 2009, the Travel Channel’s “Bizarre Foods with Andrew Zimmern” gave viewers a rare glimpse into the development of space food technology. Andrew Zimmern, along with astronauts Michael Foreman, Leland Melvin, Michael Massimino, and Garrett Riesman, were presented with a number of food items that were flown on Space Shuttle missions and are currently available on the International Space Station. They rated each food item and gave their thoughts and opinions of each item to the food scientists. Andrew noted right away that a fruit punch drink was much sweeter than he anticipated, and other foods were very flavorful or spicy. As previously discussed, past astronauts complained of dulled senses of taste and smell due to the microgravity environment. Food scientists countered this phenomenon by preparing foods with extra flavor. The culmination of years of work by NASA’s food scientists can be seen below. If you want to shape the future of space food, NASA is giving you a chance to do so. On July 8th, 2011, the Space Shuttle Atlantis took off on its last mission, STS-135. NASA prepared extensively for the final 13-day flight that will close out the Space Shuttle Program. Atlantis was moved to its launch pad at Kennedy Space Center (KSC) in Cape Canaveral, Florida, on May 31, and lifted off on July 8 at 11:29 A.M. EDT (1529 GMT). The shuttle rolled out to the launch pad just hours before its sister ship, Space Shuttle Endeavour, landed early morning on June 1, wrapping up STS-134, its own final mission: a 16-day delivery flight to the International Space Station. The four-person astronaut crew has worked extremely hard to prepare for Atlantis’, and the Space Shuttle Program’s, last mission. Many of you may be wondering what will happen to all the space shuttles after this last launch. Well, the space shuttles are getting ready for their second lives as museum pieces. The shuttles themselves will go through a lengthy clean-up process before they’re ready for their public debuts. When a shuttle lands, it’s covered in hazards: liquid hydrogen and oxygen for fuel, ammonia for coolant, and live pyrotechnics for blowing out emergency escape windows. “We have to remove those chemical hazards so that when it’s in a museum, the public can walk up to it without risk of things outgassing or dripping,” said NASA flow director Stephanie Stilson, who oversaw all the post-flight checkups and pre-flight preparations for Discovery’s last 11 trips to space and is now getting the remaining space shuttles ready for retirement. Because of these space shuttles, we have been able to make many advances in science and technology. Once the space shuttles are prepared and deemed safe for public viewing, we can view these magnificent space vehicles at museums around the country. Space Shuttle Discovery will be located at the National Air and Space Museum’s Steven F. Udvar-Hazy Center just outside Washington, D.C. Space Shuttle Endeavour will be located at the California Science Center in Los Angeles. Space Shuttle Atlantis will be located at the Kennedy Space Center just outside Orlando, Florida. Watch the final launch of Space Shuttle Atlantis, which took place on July 8, 2011. The Space Shuttle Solid Rocket Boosters (SRBs) are a very crucial component of Space Shuttle flight. They are a pair of large solid rockets used by the United States’ NASA Space Shuttle during the first two minutes of powered flight. They can be found on either side of the orange colored external propellant tank. Each one produces 80% more liftoff thrust than the engine on Rocketdyne’s F-1 rocket engine. SRBs are the largest solid fueled rockets ever flown. Once the Space Shuttle releases them and they fall in the ocean by parachute, they are recovered refurbished, reloaded with propellant, and reused for several missions. The Space Shuttle affixed to the External Tank and Solid Rocket Boosters, atop a crawler-transporter. A Space Shuttle External Tank (ET) is the component of the Space Shuttle launch vehicle that contains the liquid hydrogen fuel and liquid oxygen oxidizer. The external tank can be found between the pair of rocket boosters. The ET is the largest element of the Space Shuttle. It consists of three major components: the forward liquid oxygen (LOX) tank; an unpressurized intertank that contains most of the electrical components; and the aft liquid hydrogen (LH2) tank. Over the years, NASA has tried to reduce the weight of the tank in order to be allowed more cargo-carrying capability, and they have been successful in doing so. To all those who have worked on manufacturing the SRBs and ET: congratulations! 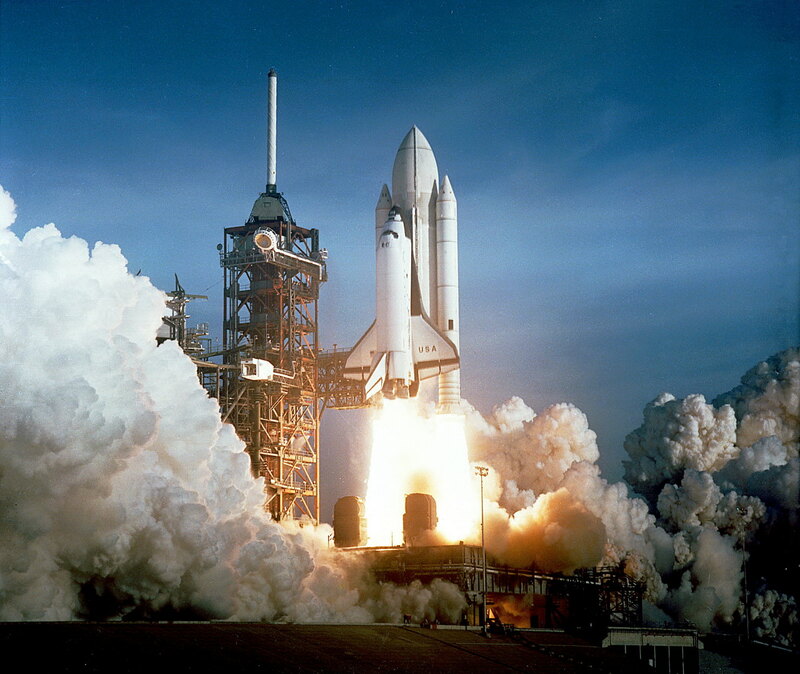 Your achievements in rocket technology have helped the United States reach new heights in space exploration and gain new knowledge and insights from data collected during each Space Shuttle mission that you made possible. May you carry on our tradition of space exploration with your latest rocket designs that will bring the next generation of scientists, engineers, and researchers to outer space. Project Mercury (1959-1963) – The first US-crewed program started in 1959, successfully completing six crewed missions. Watch the first part of NASA’s documentary on Project Mercury below, as well as part two and part three. Project Gemini (1963-1966) – NASA used this program to practice space rendezvous and EVAs, completing a run of ten crewed missions. Part one of NASA’s documentary on Project Gemini (Gemini IV), below, along with part two and part three. Apollo Program (1961-1975) – Even though there were a total of eleven crewed missions, Apollo 11 featured Man’s very first lunar landing. Watch part one of NASA’s documentary, Apollo 11: For All Mankind, below, as well as part two, part three, and part four. Skylab (1973-1974) – The first American space station featured three crewed missions, which took place in 1973 and 1974. NASA’s documentary is in two parts: part one is below. Apollo-Soyuz (1975) – A joint program with the Soviet Union, only one crewed mission took place, but it was historic, nonetheless. Here are parts one (below), two, and three of NASA’s documentary. Space Shuttle Program | Space Transportation System (STS) (1981-2011) – The longest running program has gone through 133 crewed missions and was the first to make use of reusable spacecrafts. Watch parts one (below), two, and three of NASA’s documentary covering STS-1, Space Shuttle Columbia’s and, indeed, the entire Space Shuttle program’s, maiden flight. Shuttle-Mir Program (1994-1998) – The result of a Russian partnership, this program completed eleven crewed missions. International Space Station (ISS) (1998-present) – This is an ongoing collaboration with Russia, Canada, ESA, and JAXA along with co-operators, ASI and AEB. 27 expeditions have maintained a human presence in outer space since 1998, and 34 Space Shuttle missions played a critical role in the construction and delivery of supplies to the ISS. The video below highlights STS-88, the first Space Shuttle mission to the ISS. There have been many successes with NASA’s space programs. Since 1959, there have only been three failures which resulted in the death of the crew, such as Apollo 1 in 1967, STS-51-L (the Challenger disaster) in 1986, and STS-107 (the Columbia disaster) in 2003. Nonetheless, the purpose of the “Review of United States Human Space Flight Plans” is to examine ongoing and planned National Aeronautics and Space Administration (NASA) development activities, as well as potential alternatives, and present options for advancing a safe, innovative, affordable, and sustainable human space flight program in the years following Space Shuttle retirement. I hope that, within the next few years, we continue to make many historic advances in our ongoing mission to uncover the secrets of outer space with today’s budding scientist and engineers in tomorrow’s fleet of spacecrafts. The Space Shuttle Endeavor took off on its final flight on May 16, 2011, with one more flight left scheduled for the Space Shuttle Atlantis. As of Monday, Endeavour had logged more than 116 million miles, circled the Earth some 4,500 times, spent 283 days in space and carried 170 people, including the last two people to fly a Space Shuttle for the first time. Once Atlantis flies, it will be three years, at best, before Americans are launched again from U.S. soil. This was a once in a lifetime event but even for those who missed the launch, a lucky few managed to take photographs of Endeavor’s flight into space as it happened. The first picture had been shot with an iPhone. Stefanie Gordon, a passenger on a Delta flight from New York to Palm Beach, Florida, witnessed the Space Shuttle break through a layer of clouds and continue to soar up into space. Thinking quickly, she pulled out her iPhone and immediately began taking pictures and video of this amazing sight. She knew she captured something remarkable when she uploaded her pictures to Twitter and, soon after, her phone “just started going crazy” with notifications for new Twitter followers. Within a few hours, she was fielding phone calls from ABC, the BBC, and CNBC. The second picture was planned and taken by a balloon camera. “Senatobia-1” was launched from Bronson Sports Complex in Bronson, Florida at 7:30 am on the morning of the launch by Quest for Stars, an educational non-profit organization promoting Science Technology Engineering Math (STEM) studies. The helium-filled balloon caught Endeavour’s flight path in a series of five pictures as it reached 64,000 feet. 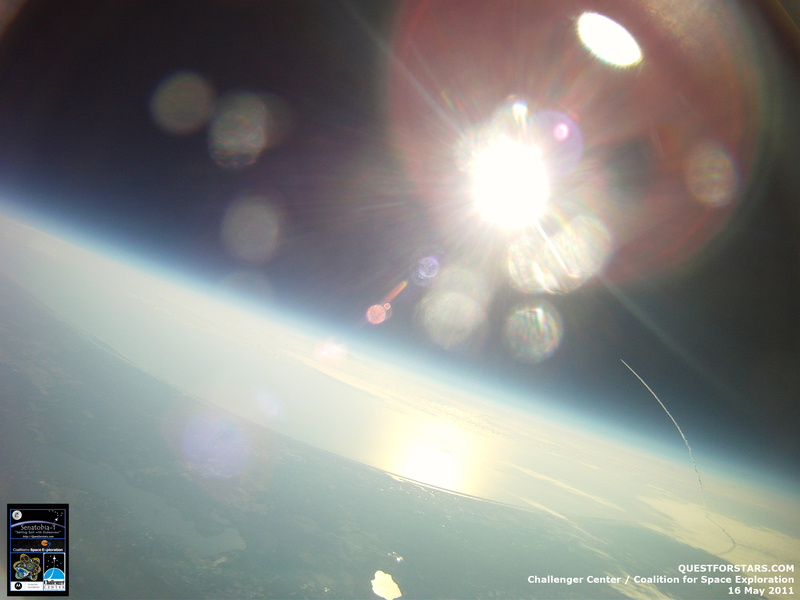 The camera payload ultimately reached over 95,000 feet before the balloon burst, releasing the payload for a parachute landing and recovery by Quest for Stars’ ground crew. Both of these photographs will go down in history as capturing the Space Shuttle Endeavor’s final flight from two unique perspectives. With any luck, the Space Shuttle Atlantis will be documented by future scientists, engineers, and astronauts who wish to take part in NASA’s next generation of manned missions to outer space. Skylab was the United States’ first space station. Launched on May 14, 1973, NASA felt it needed to establish a separate space station from the International Space Station (ISS) for crew members to live in outer space. Skylab orbited Earth 2,476 times during the 171 days and 13 hours of its occupation during the three manned Skylab missions. Some of the solar experiments conducted on these missions included photographing eight solar flares and determining the existence of the Sun’s coronal holes. Although Skylab was successful, it was abandoned after the end of the SL-4 mission in February 1974. NASA had planned Space Shuttle missions to reuse Skylab. An early Shuttle flight would boost Skylab to a higher orbit, adding five years to Skylab’s operational lifespan. While the shuttle might have pushed or towed the station into orbit, attaching a booster—the Teleoperated Retrieval System (TRS)—to the station was more likely, based on astronauts’ training for the task. Martin Marietta won the contract for the $26 million TRS, which contained about three tons of propellant, and began work in April 1978. In March 1984, shuttle crews would attach a solar-powered Power Expansion Package, refurbish scientific equipment, and conduct 30- to 90-day missions using the Apollo Telescope Mount (ATM) and the earth resources experiments. Over five years, Skylab would be expanded to accommodate six to eight astronauts, with a new large docking/interface module, additional logistics modules, Spacelab modules and pallets, and an orbital vehicle space dock using the shuttle’s external tank. The first three phases would have required about $60 million in 1980s dollars, not including launch costs. However, due to delays in preparing the Space Shuttles by about two years, NASA decided to abandon all plans for boosting the station, and allowed it to reenter Earth’s atmosphere. As of today, NASA continues to look for alternatives to Skylab. The nebula, discovered in 1787 by Friedrich Wilhelm Herschel and photographed multiple times by the HST, is 10 light years in diameter. 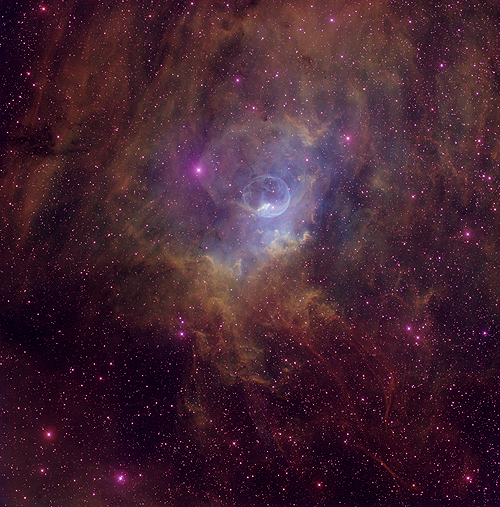 Within this nebula, there is a star that is estimated to be 45 times larger than the Sun. It has an oppressive surface temperature of 44,540 degrees and luminosity 100,000 times more intense than the sun. Astronomers are still uncovering secrets from within the Bubble Nebula and learning new things about the star nursery. 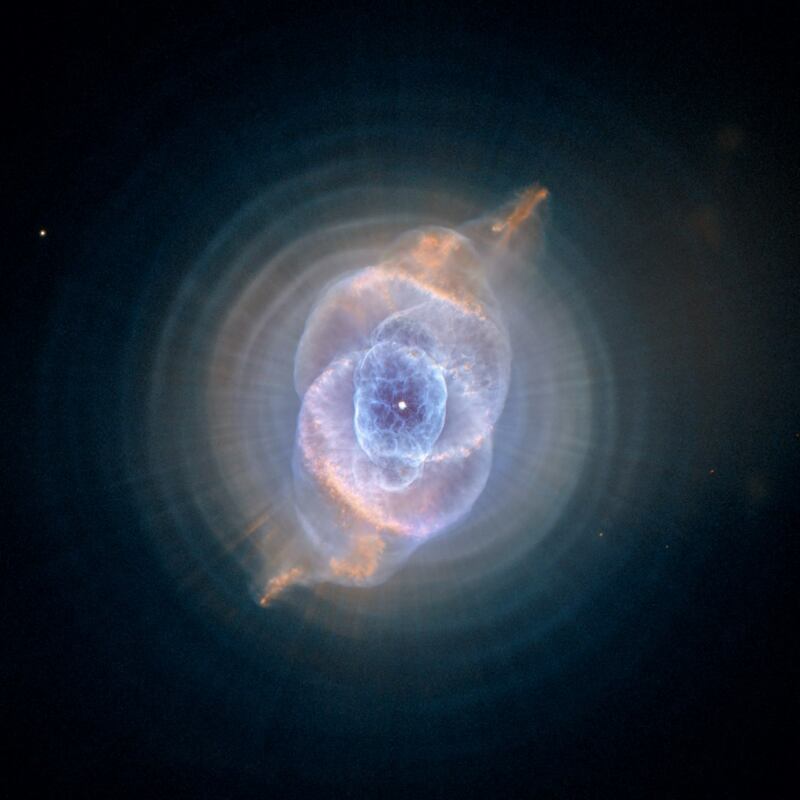 This nebula was formed from a dying star and is considered the most complex planetary nebulae discovered to date. Some of its unique characteristics include complex knot structures, gas jets, multiple bubbles, and arcs. 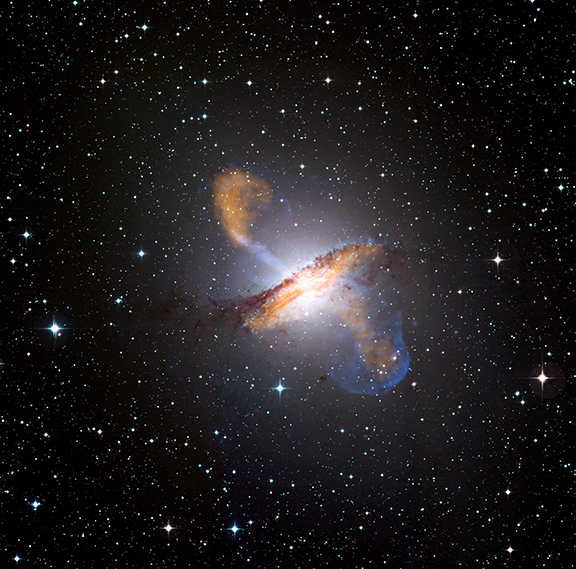 The Centaurus A galaxy is one of the closest radio galaxies to the Milky Way. When the HST discovered the black hole in this galaxy, it actually revealed that the galaxy was in the process of eating another galaxy and releasing massive amounts of material, radio waves, and light. The trajectory of Comet Shoemaker-Levy 9 was significantly altered by the gravity of Jupiter, a gas planet and first of four outer planets in our Solar System, which sent the comet on a collision course with the planet. The HST and other telescopes monitored the trajectory change and eventual impact in 1994. The HST gained photo evidence of additional objects beyond Pluto, unlocking some of the dwarf planet’s mysteries. 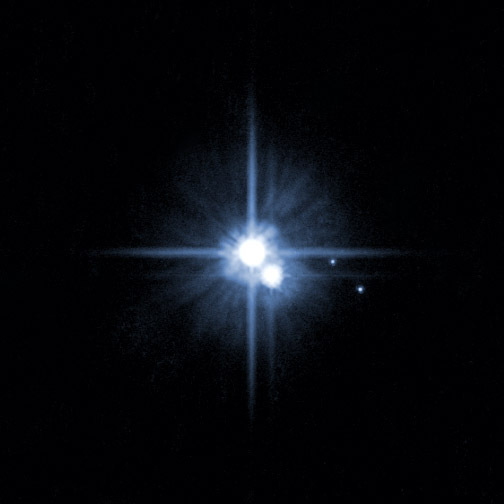 Along with known moon Charon, the HST discovered two new moons in 2005, which astronomers have since named Nix and Hydra. The HST observations of the sky above our own have led scientists to believe that dark energy has been proven to exist at quantities way above previous estimates. The Hubble Space Telescope has answered many questions over the past years and has been a great help to astronomers and scientists. According to an article written by Helium: Astronomy, “HST has opened the flood gates to a whole new realm of research that will continue to develop into the 21st century that could eventually lead to new forms of propulsion, power, and an overall understanding of how the universe actually works.” I am looking forward to hearing of the future discoveries the Hubble Telescope will make. Arizona Congresswoman, Gabrielle Giffords, was shot in the head on January 8, 2011 and has been in recovery ever since. She has recovered at an unprecedented rate and is expected to be at the final launch of the Space Shuttle Endeavor in Cape Canaveral, Florida which her husband, Mark Kelly, is commanding, on Friday. Giffords is said to be slowly regaining her speech, and she can even walk short distances. Despite sustaining an injury that is typically fatal in most cases, doctors are amazed at how well she is doing in this short time span. Dr. Dong Kim explained that there is no medical reason that would stop her from traveling safely to Florida to be at the final launch with her husband. The flight will last fourteen days and takes off at 3:47 PM on Friday, April 29, 2011. It will be NASA’s 134th mission and the Endeavor’s 25th and final flight. After the Endeavor safely returns to Earth, it will be put on display at the California Science Center in Los Angeles. Giffords is said to be perfectly fine with her husband taking off on this flight. Mark Kelly said he wouldn’t be going without her consent; however, her speedy recovery reassures him that she will be fine. Update: The scheduled April 29 flight of Space Shuttle Endeavour, which was “scuttled after a heater in one of the ship’s hydraulic power generators failed”, was duly rescheduled. 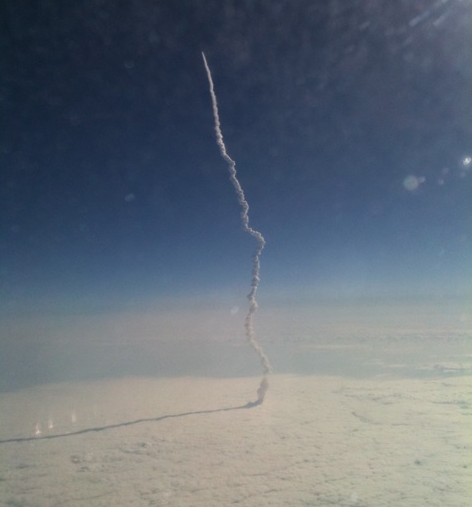 On May 16, 2011, at 8:56AM EDT, Endeavour took off for NASA’s penultimate shuttle flight. Watch the maiden voyage of Space Shuttle Endeavour, STS-49, which took place on May 7, 1992. National Geographic has posted a small sample of photos featuring the shuttle, each one breathtaking in their own right. Where is the Space Shuttle Endeavour Headed? After making its final flight in April 2011, the Space Shuttle Endeavour will take up permanent residency at the California Science Center in Los Angeles. It won’t be an easy transport but definitely worth it to those who live in California. 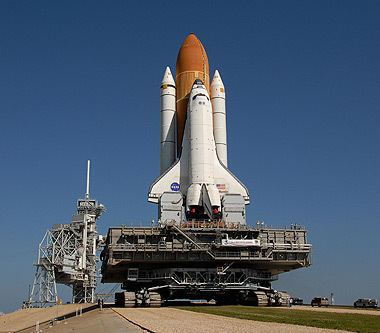 The estimated cost to move the 75-ton Space Shuttle is about $29 million. On top of that, a special exhibit showroom will be constructed at the center. Although the exhibit won’t be complete for at least five years, I’m sure many are looking forward to standing next to this amazing spacecraft up close and personal. The Space Shuttle Endeavour has one last mission to fly but so far, it has already traveled 115.5 million miles and has spent 280 days, 9 1/2 hours in space. In June, NASA’s Space Shuttle program will end with the Space Shuttle Alantis’ last flight. Brendan Kownacki, director of Strategic Innovation for Merge Creative Media in Washington, once said that the Space Shuttles are an important symbol. “The Space Race with the Russians began as a sign of technical savvy and nationalism, and has yielded dozens upon dozens of inventions and technological advancements. I think the shuttles represent innovation and imagination and the idea that America has a bright future beyond what we see or know or can grasp.” I agree with his statement very much and am glad that the Space Shuttle Endeavour will be placed at a center so close to home. Many worked on making the shuttles a reality and I am proud to say that my father was one of those people. I feel that everyone who was involved in making the shuttle deserves special recognition. Even though the Space Shuttle program will be ending this June, the opportunities that came from it will endure for generations to come. Gabrielle Giffords’ husband, Mark Kelly, has decided to fly on the Space Shuttle, Endeavour. Giffords condition has improved significantly as a result of her fast recovery. Kelly said, “I know her very well and she would be very comfortable with the decision that I made.” However, he wouldn’t go into further detail about her condition. Kelly is expecting his wife to be at his launch in April, which will be his fourth, and the Endeavour’s last flight. Mark Kelly lives in Houston with his two daughters, Claudia and Claire, from a previous marriage. Kelly also works close to home at the Johnson Space Center. Giffords was transferred to Houston from Arizona two weeks after the shooting so she could be close to home and her family. Kelly stayed at his wife’s bedside the whole time she was in intensive care in Arizona. Initially, he was expected to step down as commander of Endeavour, with NASA naming Rick Sturckow as backup commander. Kelly said he wanted his wife’s input before he made his decision. “I obviously weigh time that I can spend with her, with what I think is in the best interest of NASA and my crew. So that’s a debate I had with myself,” Kelly said. People who know the family give him support and respect his decision. Kelly would not leave if his wife’s condition wasn’t improving so fast. He has begun training for the Space Shuttle Endeavour’s two-week mission. The final Space Shuttle mission takes off at Kennedy Space Center in Cape Canaveral, Florida on April 29, 2011.